Place walk off mats at every door that are regularly maintained. You can and should vacuum your floors daily. Use the correct floor cleaner. 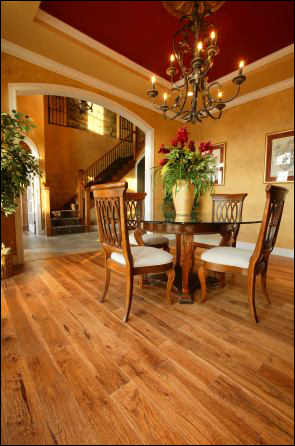 Don’t assume that any household cleaner should be safe for your hardwood floors. Cleaners should be applied with a terry cloth head mop. Less is more. Use only a small amount of cleaner. Only use wax on floors with a wax finish. For stubborn stains like chewing gum or candle wax try using a credit card.